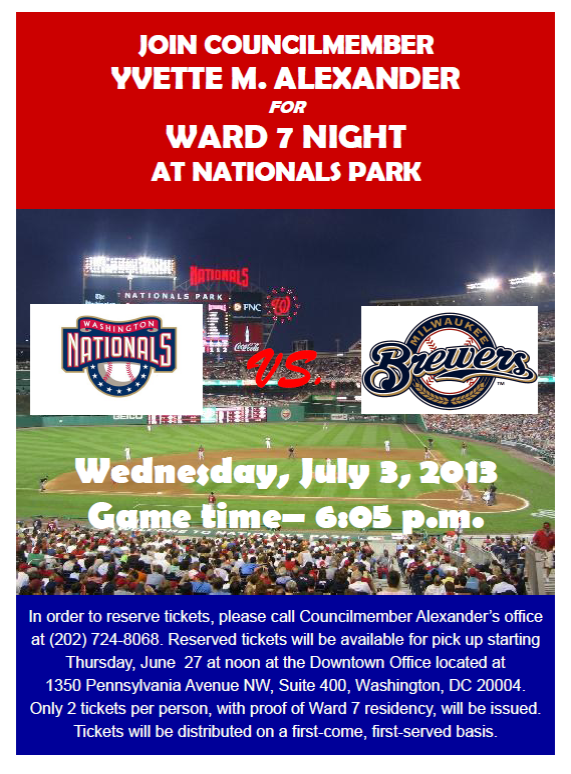 Ward 7 Night at Nationals Park – July 3 at 6:05 p.m.
Save the Children’s Summer Program provides five weeks of full-day, structured, supervised activities to keep students engaged in active learning. The summer program model has a focus in reading and math and includes daily activities in STEM with lego robotics, community service, healthy choices, and MORE! Completed applications will be accepted at Neval Thomas Elementary School. 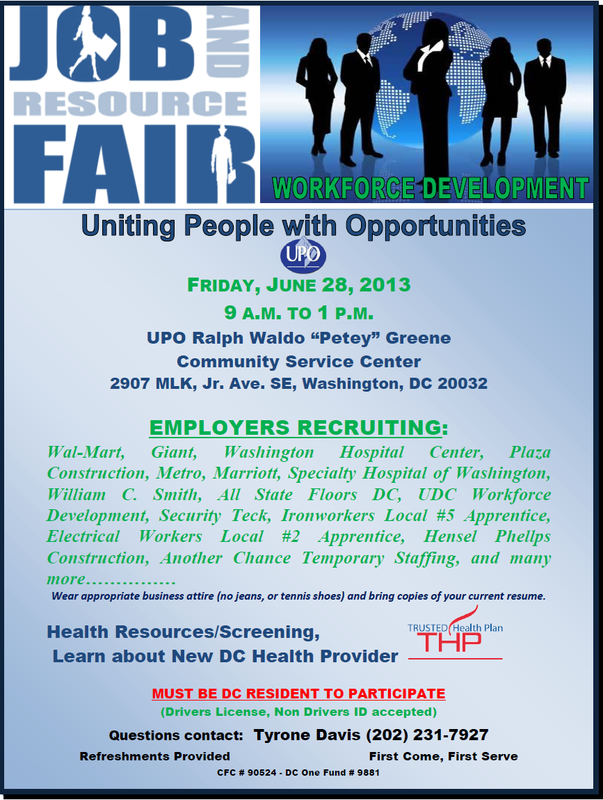 UPO Workforce Development Job & Resource Fair. Onsite interviews – dress to impress and bring copies of your current resume. Must be DC Resident! Reminder – Citywide Youth Violence Prevention Summit Today! The 3rd Annual “Breaking the Silence on Youth Violence” Youth Summit will be held on Thursday, June 27, 2013 at Friendship Collegiate Academy Public Charter School, conveniently located across the street from the Minnesota Ave. Metrorail Station. Doors will open at 11:00 am and the Summit will conclude at 4:00 pm. Lunch will be served. This year’s Summit will focus on preventing the precursors of youth violence, including drug abuse, gang involvement, bullying, and sexual assault.